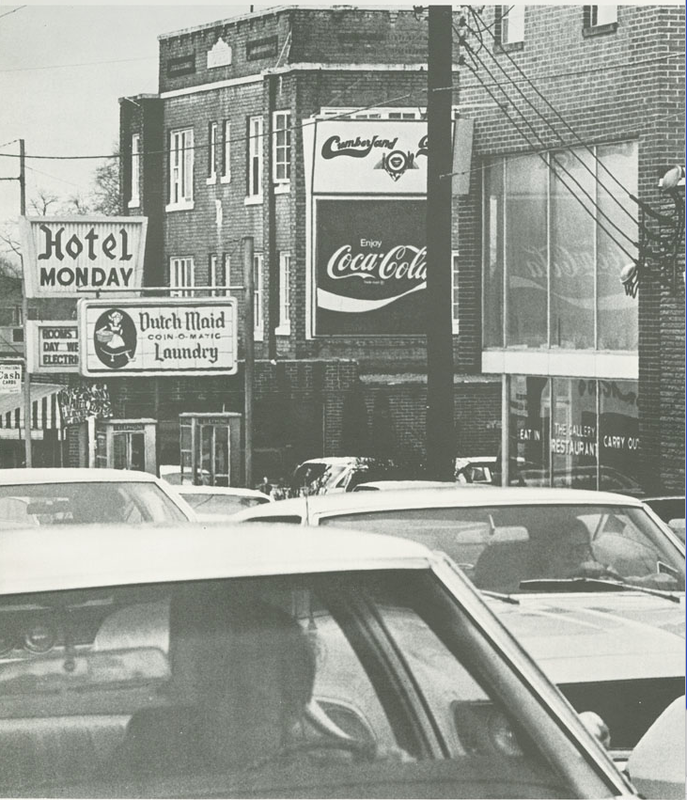 Of the two sides of Cumberland Avenue, the North side has experienced less modernization and renovation. If you were to walk down that side of the street, you would notice that the buildings are built right up to the sidewalk. Parking and alleys are in the back. Newer buildings across the street are set back with room for extra parking, drive-thru windows, and landscaping in the front. 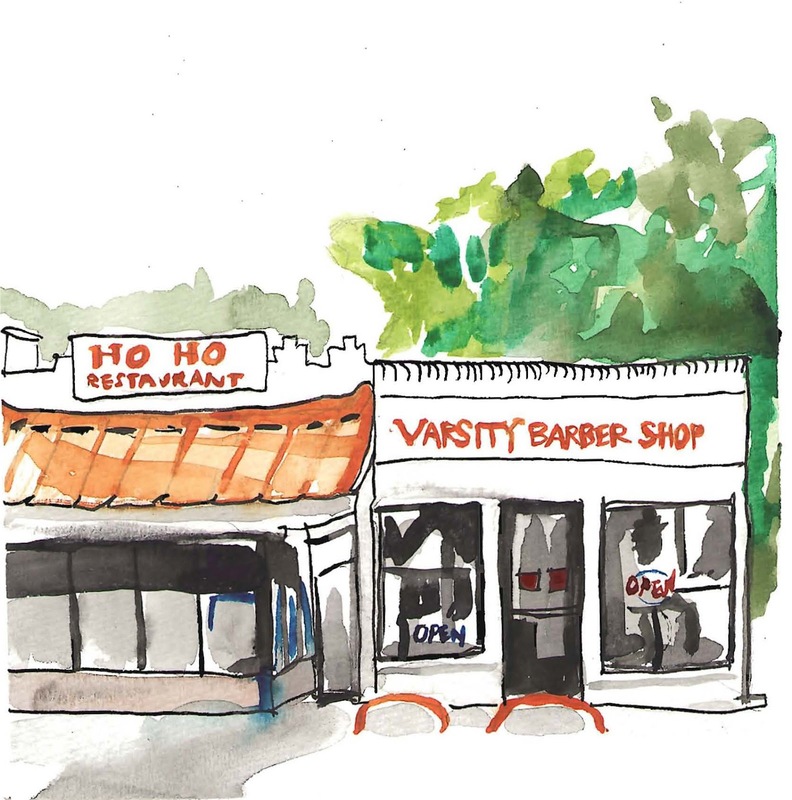 In the case of some of these businesses, they only thing that has changed over the years are the tenants. Brick and mortar remains the same! 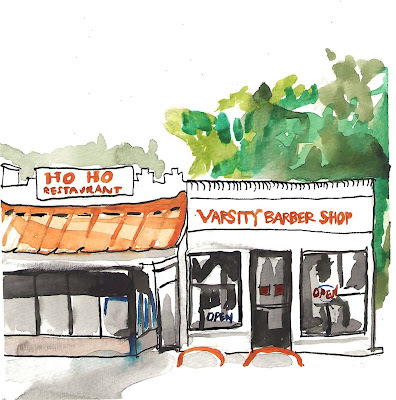 The Varsity Barber Show has been a Cumberland Avenue establishment for well over 40 years. Here is a picture shot through the window from the UT yearbooks. It doesn't look like much has changed. 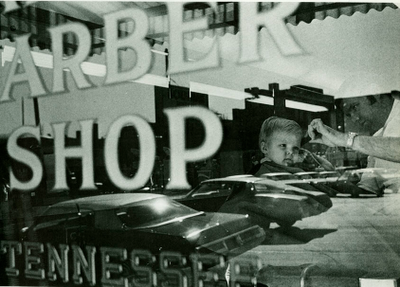 According to an online review, Jack, the barber, is great and will even shave the back of your neck. 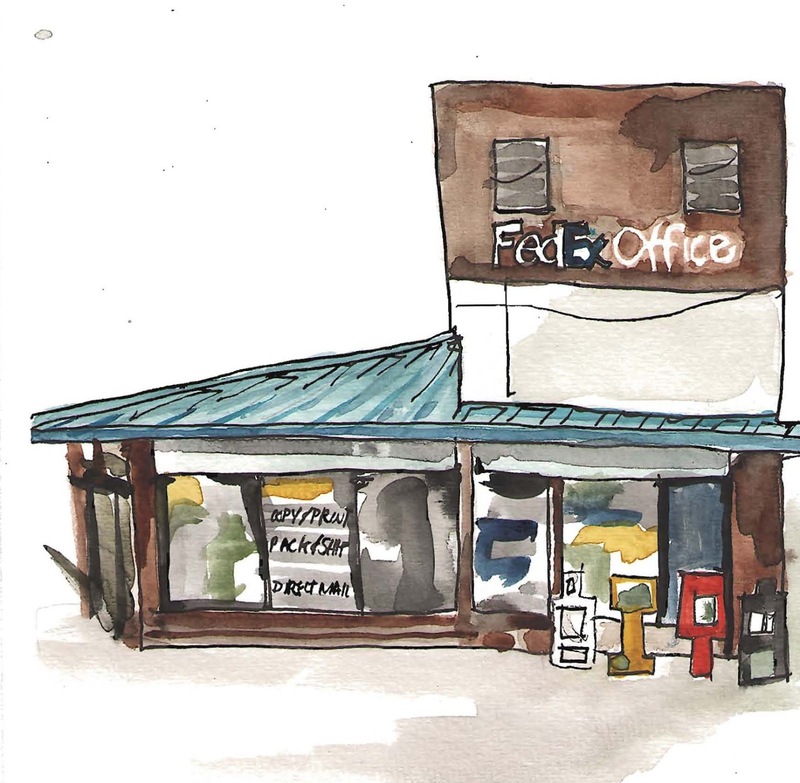 Next to the Varsity Barber Shop is this FedEx. It is very cozy with another building that butts up to the back of it. I've often wondered who would open a FedEx that blocks half an apartment building, then I realized that the FedEx wasn't always a retail space. Yearbook ads led me to this picture. Traffic on The Strip -- a pain since the 1970s.